Place your order today and we’ll give you FREE UK Delivery! Take advantage of our Free Delivery offer and when you place your today, you’ll be able to get your order delivered for FREE, anywhere within the UK! Simply select our Free UK Standard Delivery when you checkout and we’ll ship your order for Free! We offer a variety of delivery services depending on where you live. For UK deliveries, we offer a choice of three delivery services; Standard Delivery, Express Delivery and Next Working Day Delivery.For European or International deliveries, please see the table below for delivery options and time-scales. Please note that some of our deliveries require a signature and that weekends and bank holidays are not counted as working days. All European and International deliveries will require a signature and your credit / debit card will be charged in UK Sterling. Europe: Austria, Belgium, Denmark, Estonia, Finland, France, Germany, Iceland, Latvia, Luxembourg, Malta, Netherlands, Portugal, Republic of Ireland, Spain, Sweden and Switzerland. International: Australia , Canada, New Zealand and USA. Our cut off time for processing & shipping orders is 12pm. If you place your order after 12pm it will be shipped the next working day. 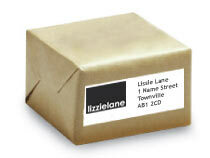 For UK deliveries we use a variety of carriers including Royal Mail & DPD as appropriate to ship your order. 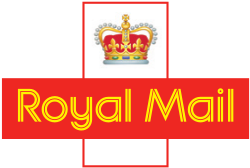 For all European and International deliveries we use Royal Mail International Tracked & Signed (formerly Airsure). Can I have my order delivered to an alternative or 3rd party address? Yes you can, however shipping your order to an address other than the one where the credit / debit card is registered may delay your order due to the additional security checks we have to perform. For security reasons, certain high value items or orders may only be delivered to the card billing address, but if this is the case, we will inform you at the time of order. We’re afraid that at this time, all non-UK deliveries must be to the card billing address. We can only deliver the goods to the address you provided as the delivery address when you placed your order. We are unable to change this address once the order has been paid for. If there isn’t anyone available to accept delivery of your order, our carrier will leave a card with details of when they attempted to deliver and how to get in touch with the them so you can arrange to collect the goods, or re-arrange delivery. If you choose to collect from the carrier, don’t forget to take some form of ID and the calling card, or they will not be able to release your package. The carrier will only hold your order for a limited number of days, therefore it is important that you get in touch with them ASAP. Weekends and UK Bank Holidays are not classed as working days and all delivery times quoted are for orders where stock is available, that are placed and pass our checks before our order cut off time. Items can only be dispatched once payment has been approved. Special orders: non stock items or bespoke items can take up to 28 days to be delivered from the date the order was confirmed. Delivery in certain UK outlying areas such as Northern Ireland, the Scottish Highlands, etc may take up to a day or two longer than the quoted time periods.